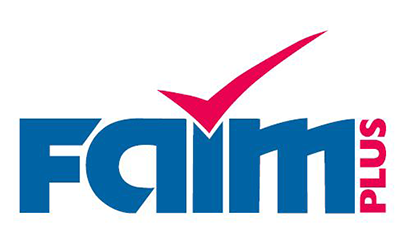 According to Alexandre Lebegue, AGS’ Senior Group Quality Manager, FAIM Plus accreditation provides branches with a competitive advantage through its higher image and level of expertise – including stringent conformance requirements. While at the end of 2013 it was announced that AGS Movers Ghana had received FAIM Plus accreditation in Africa, AGS Movers Kenya, AGS Movers Uganda and most recently AGS Movers Poland have also been accredited at this level while having their FAIM accreditation renewed at the start of 2014. “The FAIM Plus standard was introduced in January 2013 by FIDI. When AGS branches are ISO 9001:2008 accredited and renew their FAIM certificate (10 to 13 branch every year), we are asking for the audit to be conducted under FAIM Plus requirements,” Alexandre explains. He confirms that the following AGS branches are also due to receive FAIM Plus accreditation in 2014: Serbia, Budapest, Madrid, London, Tunisia, Belgium, Bratislava, Egypt, Morocco, Mozambique, Senegal and Prague. “This certification is the proof of the commitment of all the AGS Uganda staff to provide our clients with the best service possible.” AGS Kenya’s Branch Manager, Gil Recizac, echoed this sentiment. added Antoine Duquesnay, AGS Poland’s Branch Manager.